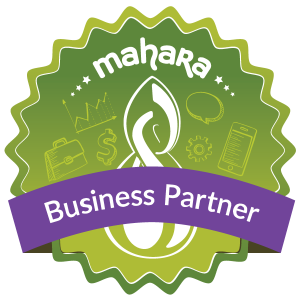 TDM are an official Mahara Business Partner and we have written a book on Mahara. We add value to the core codeline by offering all the necessary services: hosting, theming, coding, plugins, extensions, integrations, upgrades, content development & platform administration. A comprehensive blogging tool is provided in Mahara, where users can attach files to posts, embed images into postings and enable comments. Mahara provides a social networking facility where users can create and maintain a list of Friends within the system. Mahara includes a resumé builder which allows users to create digital CV’s by entering information into a variety of optional fields. Mahara is a fully fledged ePortfolio system with social networking facilities. Multimedia file storage & data capture via internet/mobile devices. Web page & website collection building via a dynamic user interface. The ability to work with colleagues in online community “groups”. What can TDM Open Source Software Services do to help? • And making the menu bar and the user-interface speak your own unique organisational language. that codeline to ensure that the software serves your own very specialist business needs. What if TDM decided to discontinue the software you use? What if TDM suddenly lost our pricing competitiveness? What if The Development Manager Ltd. (TDM) were to go kaput? None of these worries need concern you. TDM guarantee that you can extract your complete product, content, database and open source codeline for us at ANY point. You can then simply redeploy your codeline on an alternative server arrangement. It is therefore entirely down to TDM to ensure that we continuously deliver the right levels of service quality at the right price for you. Your management decision-makers need the flexibility to plug-and-play such software solution as these, as and when new business needs arise and new software options become available. However, TDM ALSO completely understand these software options need to combine smoothly behind a non-geeky front-end portal which offers an easy-to-use, single-sign-on experience for the end-user….. and that is exactly how we can be of help to you. 2. TDM’s team of multiskilled sotware developers and software administrators who are tasked with maintaining your software on an ongoing basis. If lots of organisations have an interest in moving forwards the core codeline functionalities of the software you are using, your organisation will stand to benefit from initiative funded by others. At the end of the day, many organisations will often need broadly the same software functionalities. Why continuously reinvent the same wheels?